Marston’s Beer Company has signed a deal with pub operator Brakspear, which sees the company become the primary supplier of all wet-led products into the Brakspear pub estate through Marston’s Logistic Team. 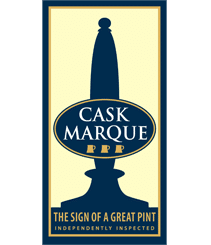 The agreement, which will go live from the 1st November will include all Brakspear pubs, giving them access to Marston’s brands portfolio, which recently grew with the acquisition of Charles Wells. The move gives Brakspear licensees access to one of the best drinks portfolios in the industry and a choice of quality British ales and beers, as well as a wide range of international beers. Building on an existing relationship with Brakspear, Marston’s, who have been brewing Oxford Gold and Brakspear Bitter under license since 2002, also demonstrated updated, state-of-the-art logistics technology and nationwide depots as part of their proposal, allowing an efficient supply of a range of brands to suit each pub.